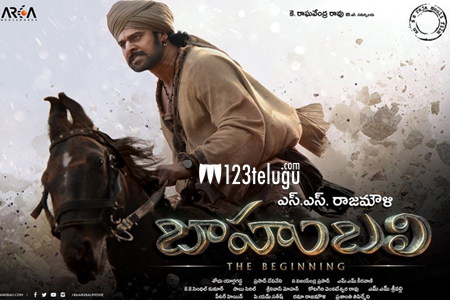 In the times when reaching the 100 crore mark is a distant dream for a Telugu film, the phenomenal box-office storm of Baahubali The Beginning has made it a reality. After surpassing the 100 crore mark within three days and the 200 crore mark in five days, the film has now reached the sensational three billion milestone all in just nine days of its release. Until Saturday, Baahubali The Beginning has grossed close to 308 crores worldwide from all its versions. Already, the film has been declared the highest grossing south film dubbed into Hindi, with a gross of 50 plus crores. Baahubali is also the highest grossing south Indian film, as it has surpassed Rajinikanth’s Endhiran (Robo) lifetime collections of 157 crores. The film has even survived the mighty competition of latest Bollywood blockbuster Bhajarangi Bhaijaan and is still running to packed houses in the Northern territories on weekends.